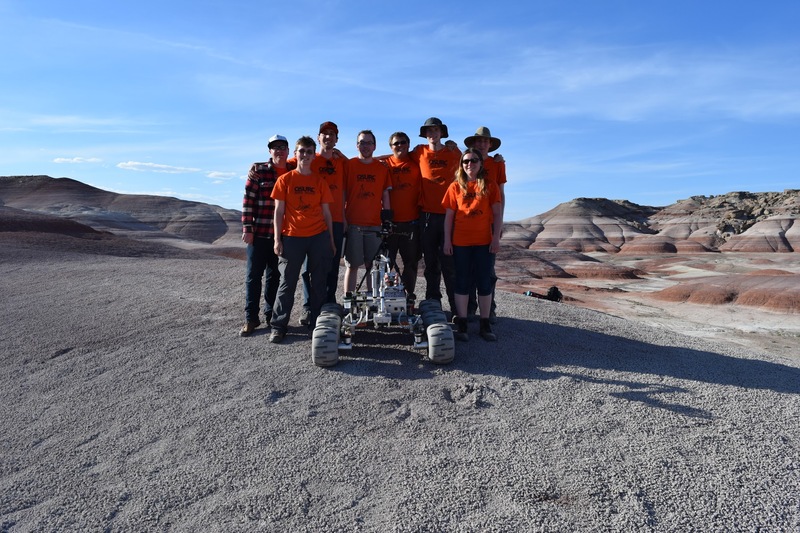 Near the end of the 2016-2017 school year, the OSU Mars Rover team had their software team lead quit after a bad demo of ground station software during the team’s Oregon desert test in mid-March. As I’d been brought in as a software mentor a few times during the year, and the team had no one able to fill the position, it was asked of me to fill in as emergency lead for the remainder of the year. While I accepted, the major caveat was that I’d already made large plans to be gone for much of the final term before competition, meaning I’d have in total roughly nine days to write software capable of allowing our Rover to make it through competition. Speaking of, the team was finally returning to the University Rover Challenge, which I’d originally been to my first year on the team! See THIS post for an introduction to the competition. As intimidating as that concept of writing enough software that quickly was, once I was back in town I began frantically writing as much as I could (as well as helping the electrical team with some pretty major problems they were having). Even as we got to Utah, I spent many all-nighters throughout the competition adding features to the Rover until I literally couldn’t stay awake anymore. Ultimately, some massive problems with the electrical system and radio systems killed our performance in most of the long range events, which was rather unfortunate. Our team didn’t place particularly well, 14/30, but I was happy to have at least contributed enough to get the Rover through the competition. For how little time I had, I was fairly happy with how many capabilities I’d manage to get working in the GUI in such a short period of time as well. I’ll try and get a screenshot of the GUI if I have time at some point. You can check out my hastily written code above.